Volunteer for Arizona's Largest Film Festival! YES! I would like to volunteer! All new volunteers must attend one of our Volunteer Orientations. We will have new volunteer orientations in 2019. 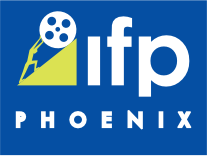 The Phoenix Film Foundation is always looking for fellow movie-lovers to find their favorite movie by volunteering for the festival! We are currently looking for people interested in volunteering for the 2019 Phoenix Film Festival, but we do have a few opportunities to help out with our film events throughout the year. In exchange for a commitment of at least 24 hours*, volunteers will receive a festival t-shirt and a full festival pass ($150 value, excludes the opening night screening). We are looking for enthusiastic people in the following areas: Theater Operations, Merchandising, Ticketing, Silent Auction, Kids’ Day and Events. The Phoenix Film Foundation has year-round events and we need people like you to help get the word out. We are always looking for some fun, responsible people to bring the art of film to film lovers year round! If you are interested in volunteering, please fill out the form and we will contact you when we have positions available. Most volunteer opportunities occur closer to the Phoenix Film Festival. By signing up, you will also get information about our 2019 volunteer orientation sessions. Thank you for your interest and we will see you at the movies! If you are interested in volunteering for the Phoenix Film Festival, but are unable to commit to the full 24 hours, please email us to discuss other volunteer opportunities.